Noorvik presents a number of wind power site options, from near-village locations to Hotham Peak several miles to the east. Wind resource studies have been conducted at the old airport, near the new airport, on the hill near the rock quarry at the foot of Hotham Peak (“Quarry Hill”) and on Hotham Peak itself. The Noorvik wind resource ranges from Class 2 (on a scale of 1 to 7) near the village to possibly as high as Class 6 on Hotham Peak itself, although the latter location is ice prone and difficult to access. 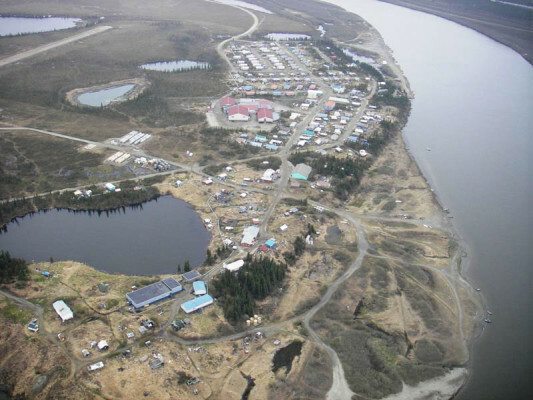 V3 Energy LLC has written several assessments, feasibility studies and reports of Noorvik and continues to work with Northwest Arctic Borough to develop renewable energy solutions for the community. Options include electrical interties between Noorvik and Kiana and possibly Noorvik and Selawik (see attached reports). Note for the Intertie Options for Selected AVEC Villages report that V3 Energy LLC was primary author of the document.